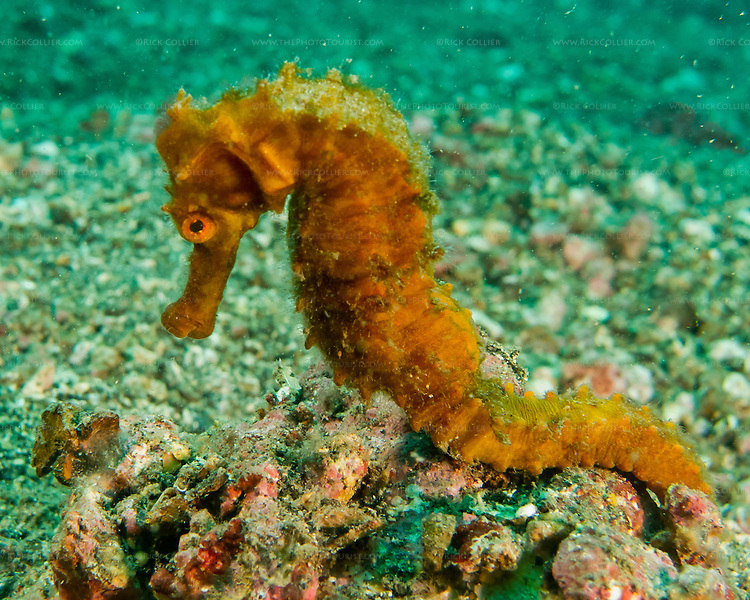 It is not uncommon to find good-sized seahorses (5-7 inches / 12-17 cm) out on the sandy bottom or attached to a small clump of detritus in an otherwise featureless plain of sand. Those of us who dive mostly in the Atlantic or Caribbean are accustomed to seeing them only rarely, and we expect to find them &quot;hiding&quot; in relatively busy environments, with lots of coral and plant attachment points. Such &quot;natural&quot; attachments are not as common in the sandy Lembeh strait, making the seahorses there correspondingly easier to spot and photograph.